Monika is a 73-year-old widow who lives alone in a flat in the Western suburbs of Stuttgart, Germany. She has 3 children and 6 grandchildren. She is still fairly active for her age and uses public transport to visit friends and members of her church in their homes and at the hospital. Unfortunately, her vision is gradually declining, due to an age-related macular degeneration. She takes medication that slows down the deterioration process. Monika got a desktop computer at home 3 years ago, an old model donated by her son when he bought a new one. She had not worked with a computer before, and is afraid of “breaking” it. Her son set it up for her, with Skype, an e-mail client and a Web browser. Occasionally, she talks in a video conference with her daughter-in-law over Skype, and sees her newest grandson on the screen. Before the Skype call, her daughter-in-law would call her on the phone and tell her to start the computer so that she could call her on Skype. Her bank office closed two months ago, and just left an ATM there. Now she needs to either travel into the city, or try online banking for her financial affairs. 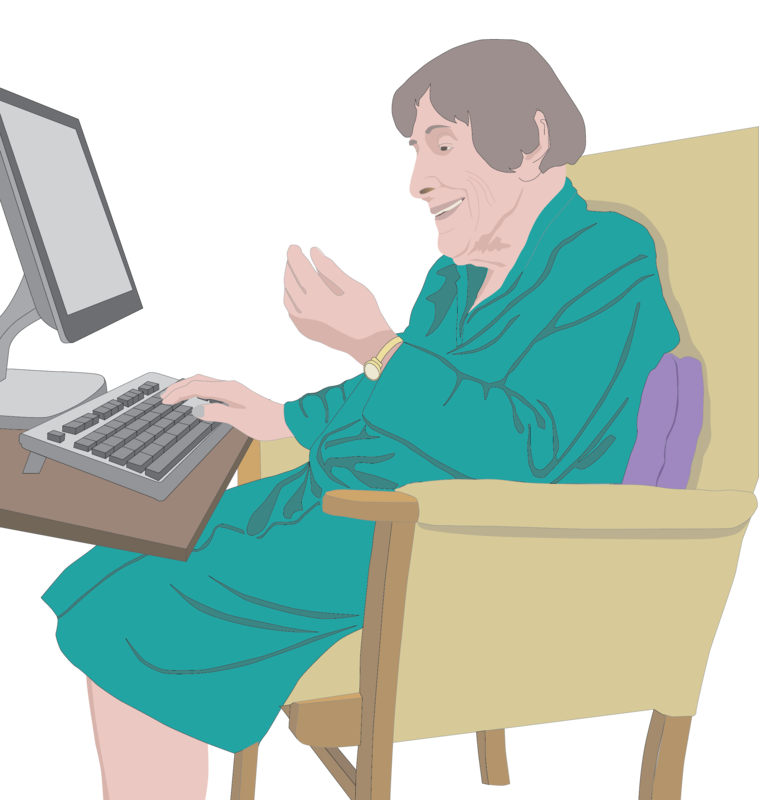 She has heard about the risks of online banking, and is afraid of doing something wrong. She had had a look at the online banking application together with her son, and was scared by the many menu items and complex procedures. Her son even helped her to get a list of transaction authentication numbers (TANs) from her bank, so she would be able to initiate wire transfers. But she decided she would not use the online banking application alone to avoid doing something stupid. She recently noticed that it becomes harder for her to read the display of the ticket machine at the S-Bahn (metro) station. The screen shows text with black font on a grey background. She can still read the bold letters and headings, but has trouble reading the smaller font in which the list of target stations is written. Were this list printed in white on black, it would be easier to read for her. Her hearing is still fairly good, but she has trouble following conversations in a noisy room, especially when multiple people talk at the same time. Also, on the phone she sometimes has a hard time understanding the other person on the line, especially if it is a child or a woman with a high voice. One time she missed an appointment with her daughter because she didn’t understand the scheduled time. Since then, her daughter always writes the date and time of appointments to her in an e-mail after a telephone call. She loves to travel, and has booked a week-long bus trip to Tuscany (Italy) for the upcoming spring. However, she would not go on travel alone anymore, since she is afraid of getting lost in unfamiliar environments, in particular in a country whose language she does not speak. See also the needs & preferences set for Monika. Text: © Copyright: Hochschule der Medien (Stuttgart Media University), 2015. The text is made available under a Creative Commons Attribution 4.0 International Licence (CC BY 4.0).